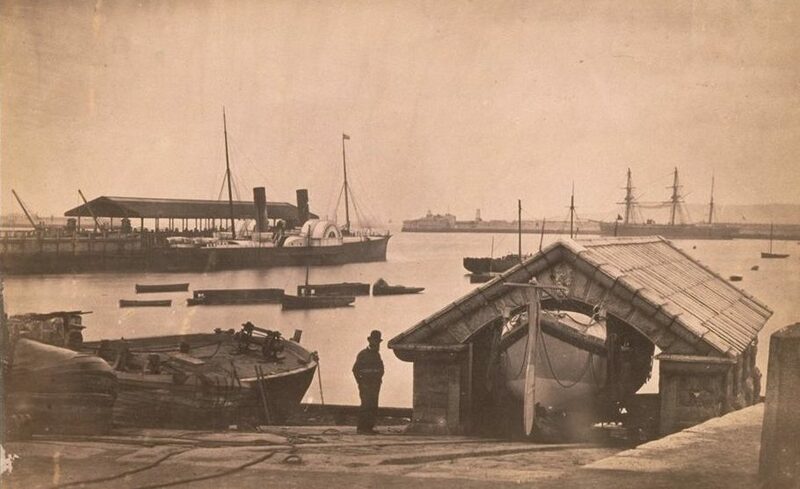 The Dun Laoghaire Lifeboat Disaster remains one of the worst tragedies in the history of the RNLI in Ireland. 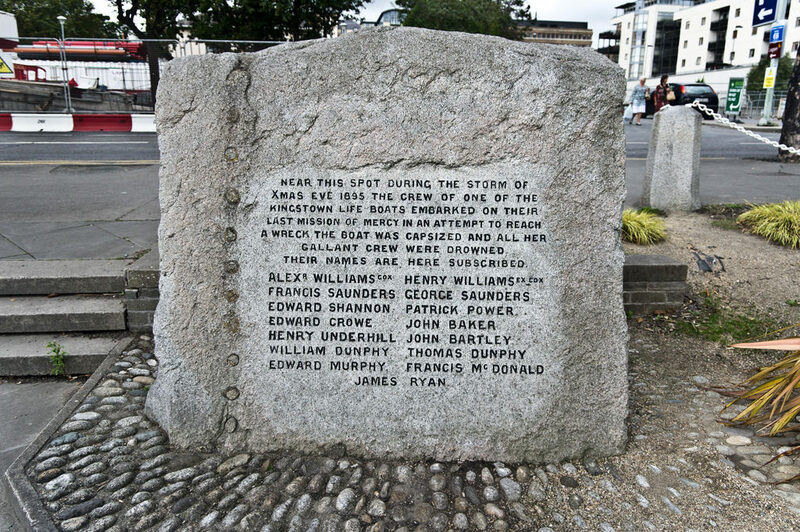 On Christmas Eve of 1895 all 15 brave crew members lost their lives when they went to rescue a stricken vessel off Kingstown, now Dun Laoghaire. The Dun Laoghaire Lifeboat Disaster will be remembered in an annual ceremony taking place at 12.00 on Christmas Eve at the East Pier Lighthouse. The service will include music, an ecumenical blessing and will conclude with a guard of honour for the wreath-bearers as they proceed to sea on the lifeboats to lay the tributes. The week leading up to Christmas 1895 severe storms had been raging around the coast causing devastation in their wake. Numerous ships had already met disaster and been wrecked. But many lives had been saved by the heroic lifeboat crews who risked their lives at a moment’s notice. The SS Palme, a Finish sailing ship, was unlucky and got caught in the storm. She had set sail on the 18th December from Liverpool bound for South America to import hardwood. On board was a crew of 17, Captain Wiren, his wife and five month old child. As the storm raged and ripped at her sails she tried to seek shelter in Dublin Bay. The winds had other plans and she was driven southwards. 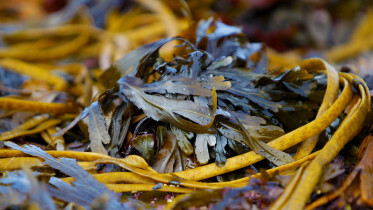 On the 24th the Palme was dragging her anchor off Merrion Strand and was endanger of being dashed on the rocks. A crew of 15 brave men took to the stations newest lifeboat and traveled out to the stricken vessel. As it neared the crew lowered the sails and rowed. A huge wave washed over the lifeboat and the lifeboat capsized, the men swept below the water. The Palme tried to launch their longboat to aid their own rescuers but it smashed against the waves. All 15 members of the lifeboat crew were lost. Two more lifeboats were sent out to the Palme. The first was also swept under a wave but the crew managed to right the boat and made it back the shore. The second boat launched but had to turn back. On St Stephen’s Day, the rough weather had abated and the lightship tender Tearaght finally rescued the entire crew of the Palme. The crew were met with a warm welcome when they reached the shore and put up in the Royal Marine Hotel. 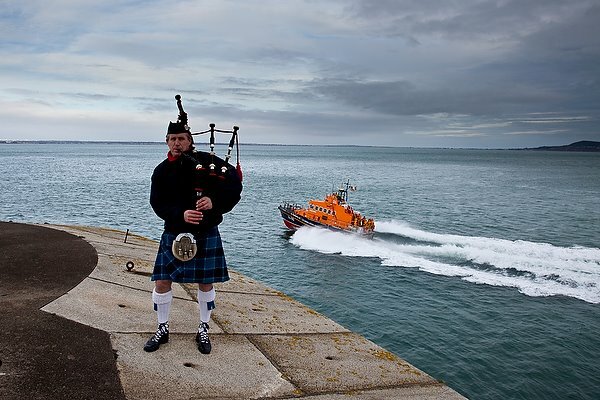 The Dun Laoghaire Lifeboat Disaster will be remembered in an annual ceremony taking place at 12.00 on Monday 24th at the East Pier Lighthouse. All are welcome.